Alaska House, New York (AHNY) is a newly formed nonprofit arts and cultural center representing the Alaskan point of view. Based in New York City, the organization strives to increase public awareness of the issues and opportunities for this vast and remote 49th state. 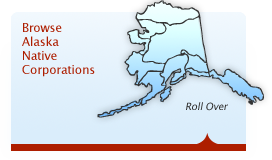 The Center is dedicated to educating the public on the diverse artistic and cultural offerings of Alaska and improving economic conditions throughout the state, especially rural Alaskan villages—which are among the nation’s most remote locations. AHNY offers a wide range of programs, including art exhibitions, concerts, film screenings, lectures and symposia that shed light on the vitality of the Alaska Native peoples. To celebrate its grand opening this fall, AHNY is presenting a series of exciting events, exhibitions and forums to explore topics ranging from Alaska Native art to the effect of climate change on the Arctic. Alaska approaches its 50th anniversary of statehood in 2009, and yet the state remains shrouded in mystery and romanticism to many Americans. Visit and discover this enthralling land that inspired John McPhee to capture its beauty in words. View the creative expressions of Alaskans and hear their inspiring stories. Learn about the critical challenges facing Alaskans now and in the future—challenges that, if ignored, may have repercussions worldwide. For more information, please contact Tracey Foster, Executive Director, at tfoster@alaskahouseny.org.